Snoop has just rolled out POUNDS, a collection of high-end glass devices designed to elevate the weed smokers’ experience. 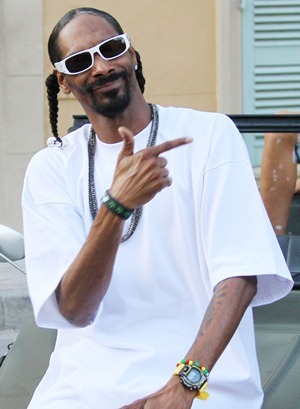 It’s no secret that Snoop Dogg is one of the most involved celebs in the weed biz. First came Leafs by Snoop, a line of delicious pot strains, edibles, and much more. And now, Snoop is rolling out POUNDS, a collection of glass bongs designed to elevate the consumer’s experience. There will be not just one, but five different pieces inspired by ships. And no matter what you like to smoke on, whether it be oil or flower, POUNDS is for everyone. What better way to enjoy Leafs by Snoop than with one of Snoop’s very own glass pieces? As part of a collaboration with smoking accessories manufacturer Famous Brandz, Snoop is launching POUNDS. Inspired by ships, the line includes not just one, but five different bongs: Battleship, Mothership, Rocketship, Spaceship, and Starship. POUNDS is my way of offering and sharing a premium smoking experience for any consumers. Whether you’re into flower or oil, POUNDS has the product for you. A nod to the Leafs by Snoop line (Get it? LBS) and his history with Death Row Records’ Tha Dogg Pound, POUNDS products are now rolling out nationwide. You can also find them online and in Canada as well. Perfect for both herb and concentrates, the Battleship is the second largest model. At 12.5″ high, this pipe has a thick rim around the top, making it easy to get the suction you need for those massive hits you love. And for those that are choosy about color, it’s available in red, white, clear, and black. As for the tallest of the tall, that would be the 13″ Mothership, built with a barrel and percolator. Thanks to them, consumers get to enjoy smoother hits of herb (only) that are less harsh on the lungs. As for the colors, you can pick from white, blue, black, and clear. Next in line is the Rocketship, which stands at 11.5 inches. Along with a diffused downstem for “legal” herb, it also has a sloped in lip at the top, allowing the toker to cover the hole completely for ideal suction while they spark up. This model comes in orange, clear, black, and white. If you’re into smaller devices that pack a punch, then the Starship waterpipe, made for herbs only, is for you. Since it’s only 6.1 inches tall, that makes it easy to tuck away in your purse or backpack. Of course, don’t forget to empty it out first! You can get this model in either purple, clear, black, or white. Last, but certainly not least, is the 6″ Spaceship, the smallest of the bunch. Thanks to its ruffled percolator, smoke particles are broken down, offering smoother hits. Available in black, green, clear, and white, the Spaceship can be used for essential oils and concentrates.